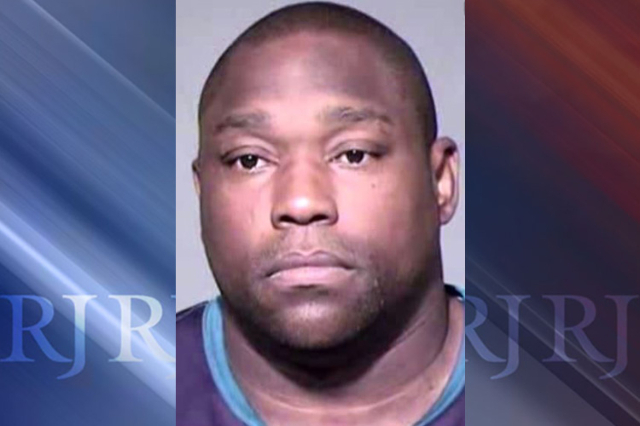 NFL Hall of Famer Warren Sapp pleaded guilty Thursday to domestic violence in connection with a quarrel that began at M Resort. Sapp, 42, was accused of assaulting his girlfriend of five years, Chalyce Moore, by pulling on her arm, biting her finger, throwing her on the floor and stepping on her head, according to court documents. Three charges against the former Tampa Bay Buccaneers and Oakland Raiders player for battery constituting domestic violence were filed in June. On Thursday, prosecutors agreed to drop two of those charges. 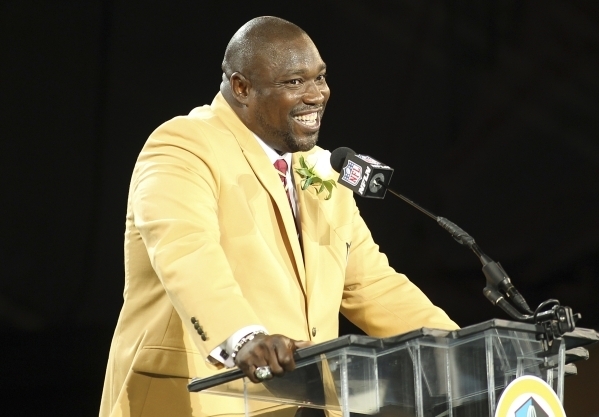 Sapp must pay $2,895 in fines and restitution, undergo six months of domestic violence counseling and perform 48 hours of community service. He was ordered to have no contact with Moore and stay out of trouble for at least six months. The fight began at a pool area at M Resort on the night of April 28, according to a Las Vegas police incident report. Moore told police they were with his friends at a cabana when the fight started. The former defensive lineman threw a margarita in Moore’s face and followed her into a resort lobby, where police said he was seen on surveillance recordings pulling on her arm and knocking her off her feet. Police said the altercation continued all the way back to Moore’s home at the Boca Raton Condos, on West Serene Avenue near Las Vegas Boulevard South. During the drive, Moore’s left middle finger was bitten so hard that it began to bleed and swell, according to the report. Moore told police Sapp began to pack his things as soon as they got inside her apartment, but the fight still continued. She “ended up on the floor but did not know how,” and Sapp, wearing white Jordan sandals, was standing on the right side of her face, according to the report. Moore texted a friend about the incident, and her friend called the police. According to the report, Moore was hesitant to cooperate at first, but allowed detectives to record an interview with her and photograph her injuries the following day. She told police she had a stiff neck, a headache and vomited after the quarrel — all possible signs of a concussion. The report describes bruising to her arms, legs and head, with a checkered imprint on one of her temples. A bruise was also visible on her left lower lip during Moore’s first encounter with police. Sapp’s previous legal woes cost him his job as a sports commentator for the NFL Network in February. He was terminated from the sports network after allegations were made that he solicited a prostitute and was arrested in Phoenix the day after the Super Bowl. In 2010, Sapp was arrested in connection with another domestic violence battery in South Florida.